Irish heritage has long cherished the importance of sitting amongst neighbors and discussing meaningful topics while breaking bread and warming one’s belly with drink. 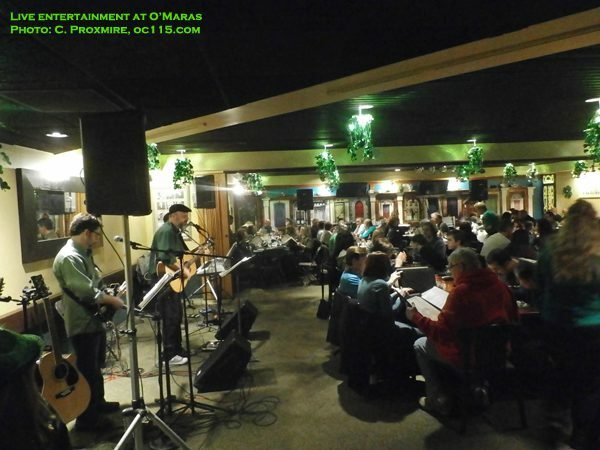 The owner of O’Mara’s in Berkley explains that the true Irish feel resonates beyond the idea of green décor and drunken celebrations often associated with St. Patrick’s Day. “Being Irish was illegal in the British Empire. They were under the British domain for 1,000 years but the reason they are a country today is because they kept fighting and fighting. They weren’t afraid to pick up a pen, or pick up a rifle to defend the right to be themselves,” explains owner, Kevin O’Mara. With the exception of one German grandfather, O’Mara is nearly of pure Irish descent. History has always interested O’Mara, especially that of his own heritage. His great grandfather came to Boston, then Port Huron, in the 1870s from Tipperary, Ireland. His grandmother on his father’s side emigrated from Cork, Ireland. O’Mara’s father was one of ten children. Writers, philosophers, and leaders from Ireland have inspired O’Mara over the years. So when he opened O’Mara’s in 1994, the 29-year-old entrepreneur had a vision of these historical figures sitting in Irish Pubs having important conversations and accomplishing great things. 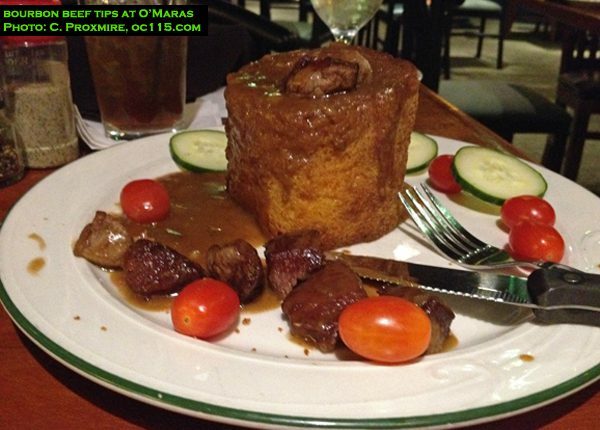 While O’Mara’s does offer signature Irish food like Shepherd’s Pie, Corned Beef and Cabbage, and Beef Stew, there is plenty more for patrons to enjoy. 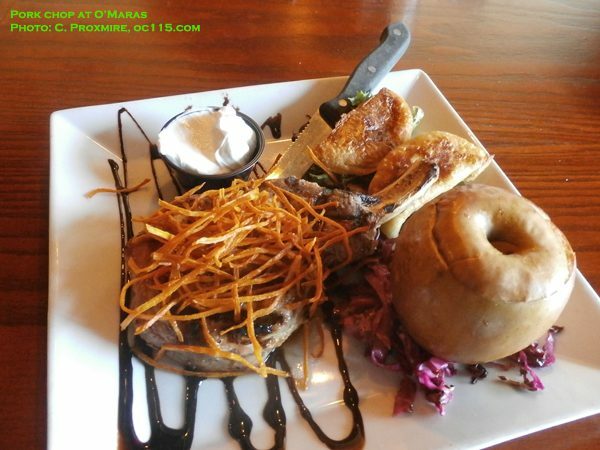 With an extensive menu and a moderate price point, one could eat at O’Mara’s for months and never be bored. 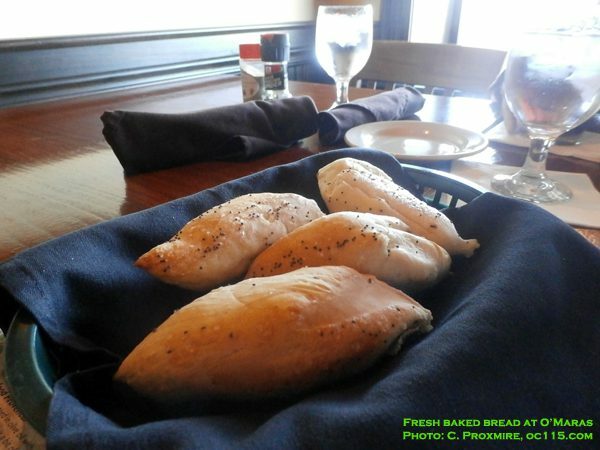 Each meal starts with a basket of fresh-baked bread and a cream-cheese and artificial crab dip. 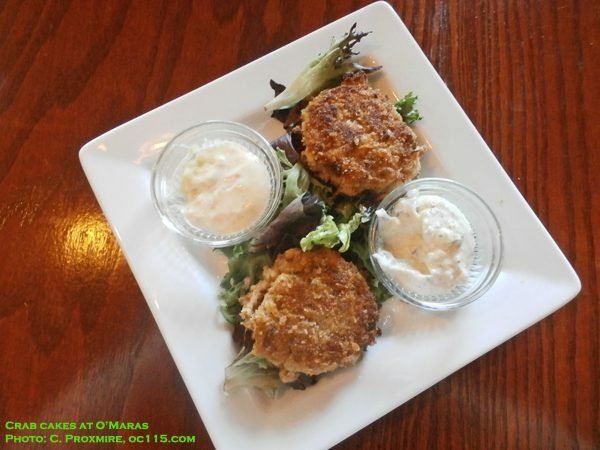 Appetizer choices include spinach-stuffed mushrooms, chicken strudel, bourbon beef tips, cream of Irish potato soup, and the area’s most delicate and flavorful crab cakes. For salads there are several choices, including some surprises. The macadamia coconut chicken salad and the duck cherry salad bring unique flavors together. The Red and Green salad is tossed with bleu cheese, walnuts, Mandarin oranges and raspberry vinaigrette dressing and topped with a choice of grilled chicken or shrimp. Dinner choices include the Dublin broil, salmon in a beggar’s wallet, vegetarian eggplant Napoleon, and even frog legs. 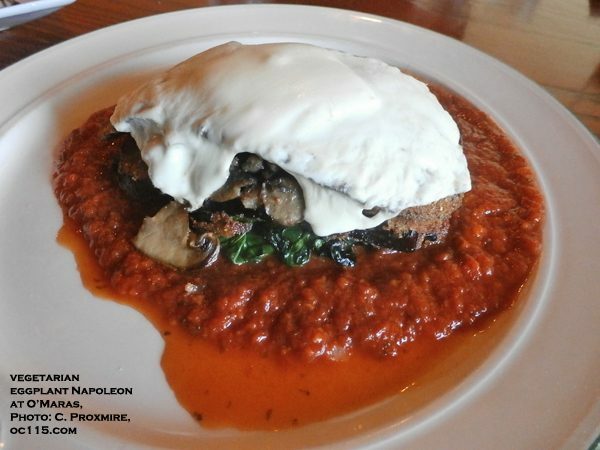 Their best seller is Lake Superior whitefish, which can be prepared in multiple ways. And of course there are soups and deserts. There is even a relatively new breakfast menu with items served until 2 pm. 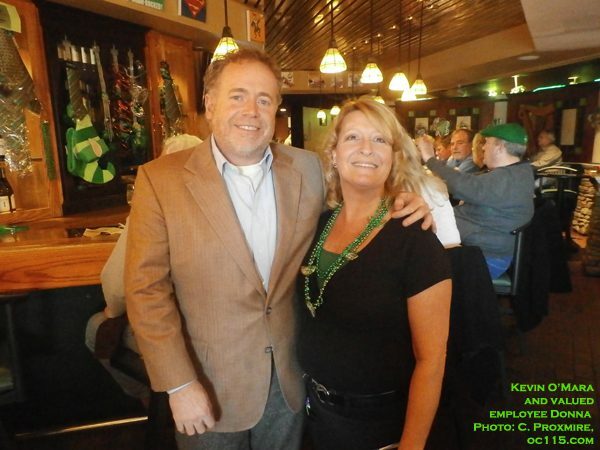 O’Mara’s kicked off their 20-year celebration this month with customer appreciation days and other festivities. There is often music or comedy routines to keep guests entertained, and the meeting room is perfect for corporate celebrations or meetings, baby showers, memorial events or any gathering where good food and a great atmosphere are desired. St. Patrick’s Day is kept to a jovial gathering of guests who make reservations in advance, but otherwise the doors of O’Mara’s are open for anyone who wants to enjoy the communal Irish-American pub experience. To learn more, visit O’Mara’s website at http://www.omaras.net.